Williamson Chong Selected for the Architecture League of New York 2014 Emerging Voices Award | Williamson Williamson Inc.
Williamson Chong is honoured to have been selected by the Architecture League for it’s Emerging Voices Award. Each year the League selects eight emerging practitioners through a juried, invited portfolio competition. The Emerging Voices award spotlights individuals and firms based in the United States, Canada, or Mexico with distinct design voices and the potential to influence the disciplines of architecture, landscape design, and urbanism. The jury reviews significant bodies of realized work and considers accomplishments within the design and academic communities. The work of each Emerging Voice represents the best of its kind, and addresses larger issues within architecture, landscape, and the built environment. 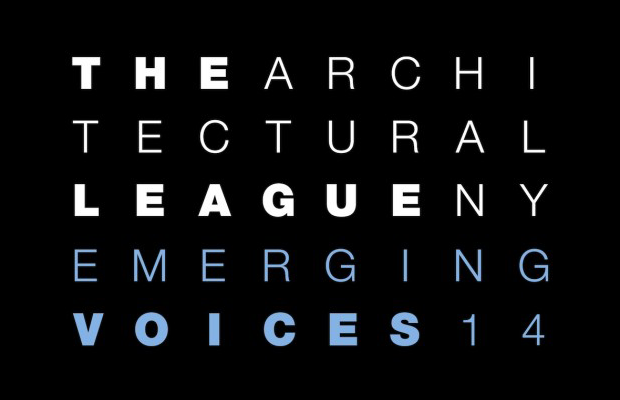 Being named an Emerging Voice by The Architectural League is one of the most coveted awards in North American architecture, and the program is notable for its thirty-year history of identifying and nurturing firms that go on to have influential practices. For a complete list of past winners, click here. This year’s jury included Fred Bernstein, Paul Lewis, Kate Orff, Thomas Phifer, Annabelle Selldorf, and Adam Yarinsky. Emerging Voices is organized by League Program Director Anne Rieselbach. The Architectural League organizes a number of competitions each year to nurture excellence, particularly among younger designers, and to explore ideas of topical note. Each year the League runs two prestigious programs for early and mid-career architects and designers: Emerging Voices, an invited competition for North American firms and individuals with distinct design voices and significant bodies of realized work; and the Architectural League Prize, a juried portfolio competition organized around a yearly theme for young architects and designers ten years or less out of school. Betsy and Shane Williamson were recipients of the 2006 Architecture League Prize.